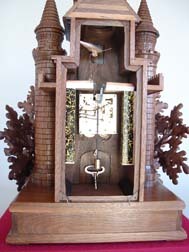 This unique mantle clock was designed and carved for the 2008 NAWCC Crafts Competition in Springfield, MO. 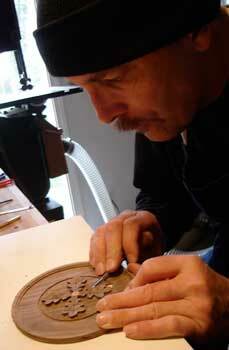 The clock was inspired by the black forest clocks of Beha and Wehrle. The animated cuckoo bird is carved of basswood and painted in the traditional folk art style. 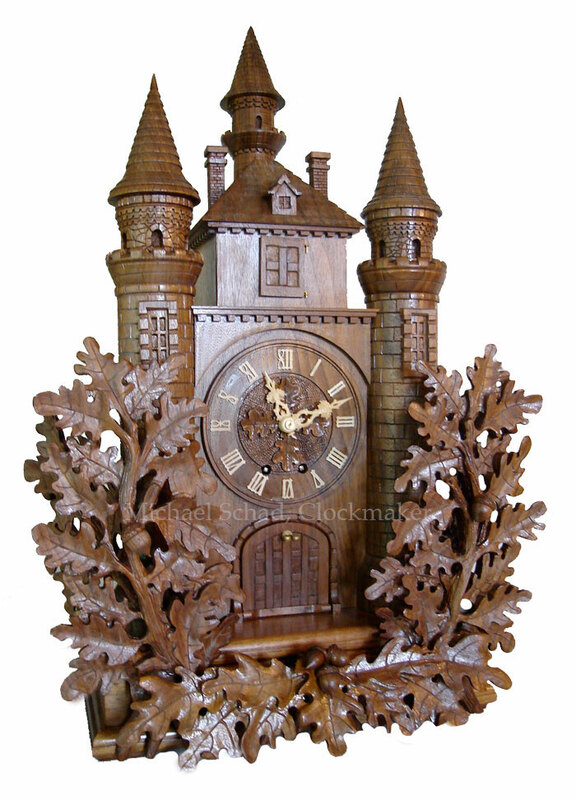 The clock is carved of black walnut and uses a German 4 day spring wound movement. 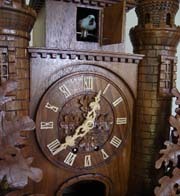 in the Clock Case Design category. 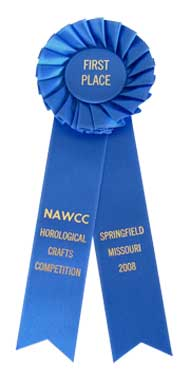 It was featured on the front cover of the NAWCC Bulletin (magazine) in December 2008. Dimensions: 28" tall, x 19" wide x 11" deep.